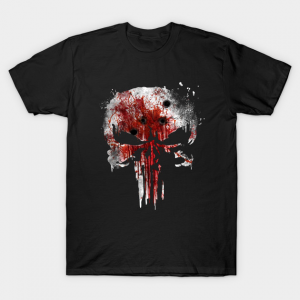 Frank Castle is a ruthless vigilante known as "the Punisher". He appears in the tv show of the same name and in The Daredevil. Frank Castle aka The Punisher, portrayed by Jon Bernthal, is a dark and misunderstood antihero. 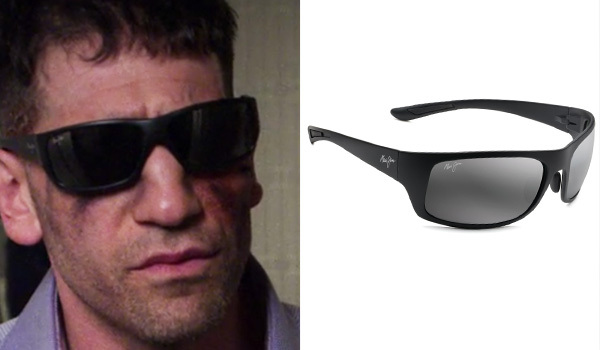 The sunglasses that Jon Bernthal wears in The Punisher for his role as Frank Castle are black rectangular sunglasses. They are Maui Jim Big Wave sunglasses. 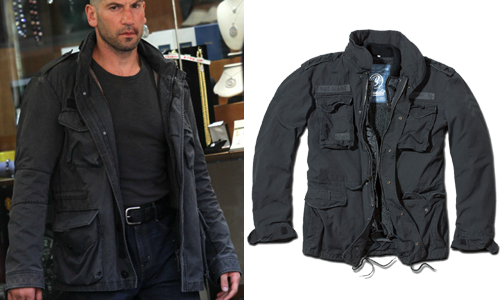 The jacket that Jon Bernthal wears in The Punisher for his role as Frank Castle is a black all-weather jacket with 2 chest pockets, storm flaps, and adjustable cuffs. 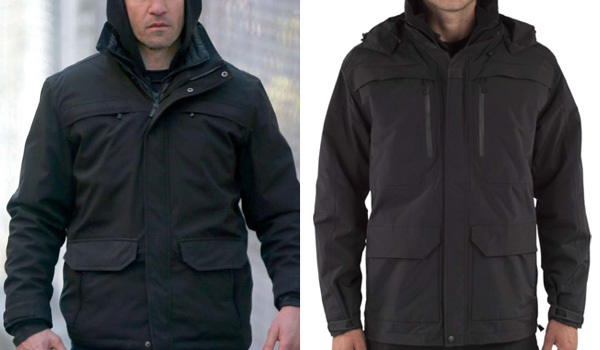 It is extremely similar to the 5.11 First Responder Jacket except it doesn't have the additional 2 vertical zippered pockets on the chest (probably a previous version of the same jacket). 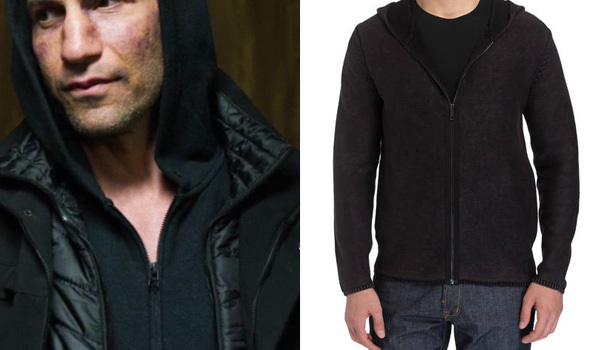 The sweatshirt that Jon Bernthal wears in The Punisher for his role as Frank Castle is a blacked-out zip up hoodie. Any black hoodie will do the trick for cosplay but it's better if the zipper is black too. Frank also wears a black down vest on top of the hoodie, this one is a pretty close match. The shoes that Jon Bernthal wears in Daredevil and The Punisher for his role as Frank Castle are black combat boots. They are Bates Zero Mass 8 inches Boots. 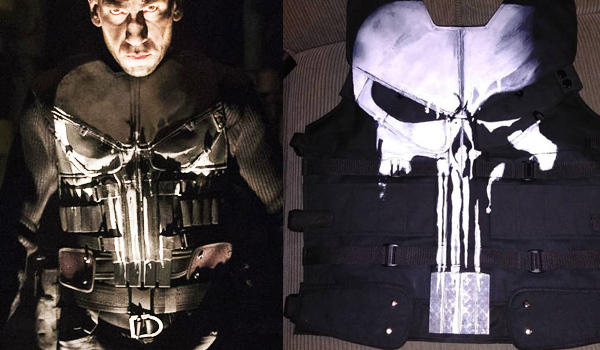 The second tactical vest that Jon Bernthal wears in Daredevil and The Punisher for his role as Frank Castle is a body armor vest with a painted skull on it. A great replica is available on etsy. The shoes that Jon Bernthal wears in The Punisher for his role as The Punisher are the same black combat boots he wears as Frank Castle. 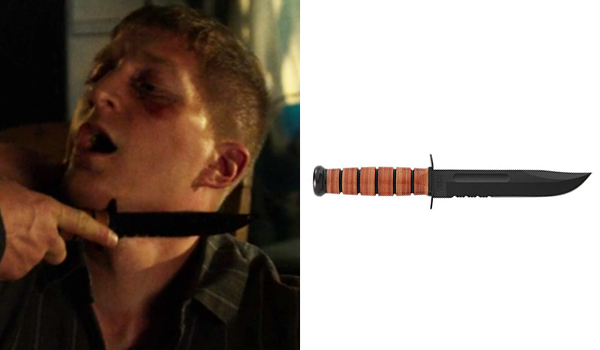 The knife that Jon Bernthal uses in The Punisher for his role as The Punisher is a black serrated combat knife. 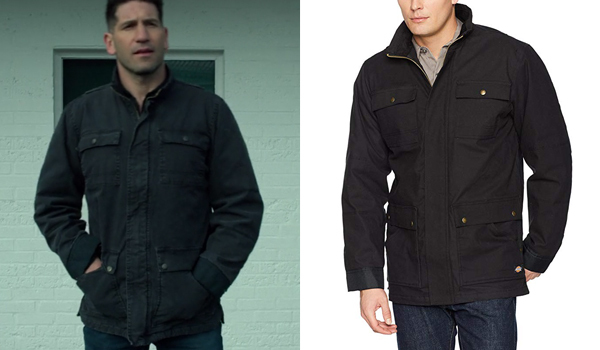 The jacket that Jon Bernthal wears in The Punisher for his role as Frank Castle in the season 2 of The Punisher is a black cotton jacket with 2 chest pockets, and buttons in the middle. It's the Dickies Sanded Duck Flex Mobility Coat. Machine wash it a couple of times if you want to get the same worn-out effect. 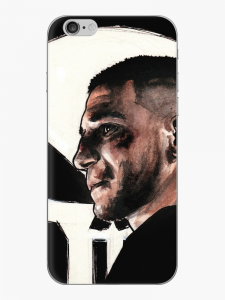 The coat that Jon Bernthal wears for his role as Frank Castle in the season 2 of The Punisher is a black nylon coat with 4 pockets and silver buttons in the middle of the flaps. It's the Carhartt Utility Coat. You'll just have to unstitch the brand logo. 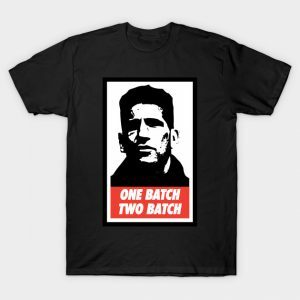 The shoes that Jon Bernthal wears for his role as Frank Castle in the season 2 of The Punisher are black combat boots made with a mix of nylon and leather. They are Bates Code 6.2 8" Boots. 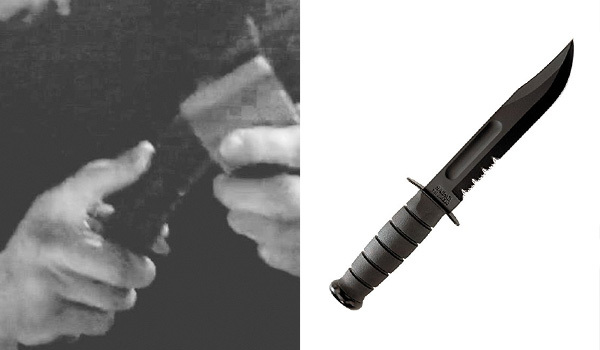 The knife that Jon Bernthal wears for his role as Frank Castle in the season 2 of The Punisher is a black serrated knife with a leather handle. 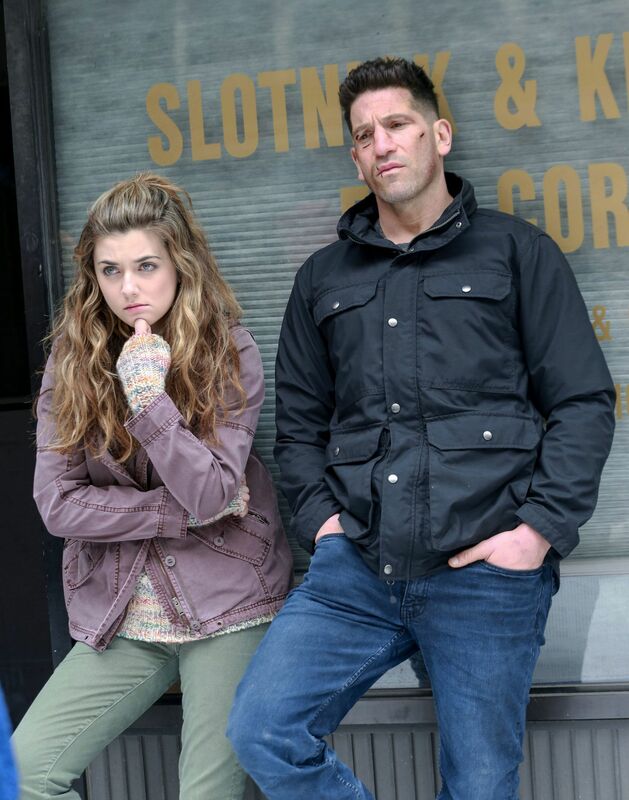 The jacket that Jon Bernthal wears in Daredevil and The Punisher for his role as Frank Castle is a military field cargo jacket. It's the Brandit M-65 jacket. 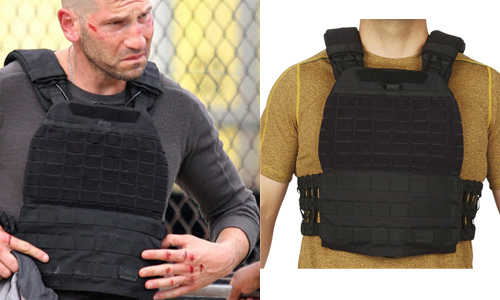 The tactical vest that Jon Bernthal wears in Daredevil and The Punisher for his role as Frank Castle is a black light weight molle plate carrier. It's the 5.11 TacTec vest. It is also the plate carrier that Billy Russo wears in The Punisher Season 1. 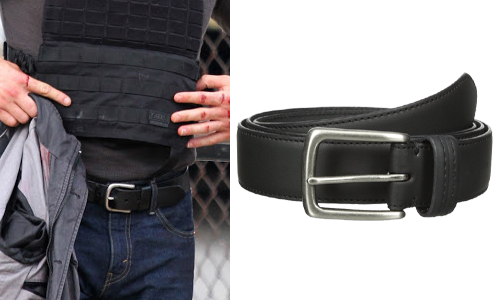 The belt that Jon Bernthal wears in Daredevil and The Punisher for his role as Frank Castle is a black leather belt with a silver buckle. 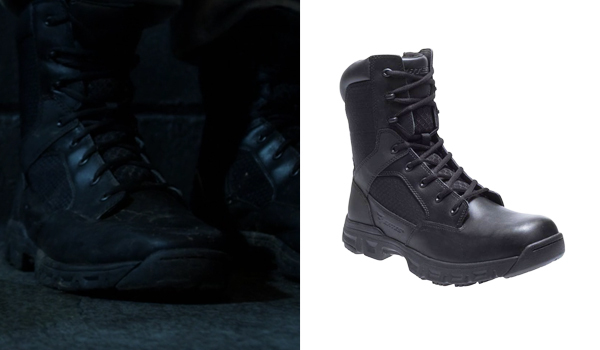 The shoes that Jon Bernthal wears in Daredevil for his role as Frank Castle are the same black combat boots he wears in The Punisher. I would like to know the models of weapons that he has in the series please? Those sunglasses are clearly Ray Ban with polarized lenses. Not sure of the specific model but they’re not Maui Jim brand. No pants? I wanna get in his pants! What is the sweater he wore during the first episode while beating criminals with a sledgehammer? What shirts does he wear? What pants does he wear? What hats does he wear? A lot of this was really well done and I applaud the hard work. The boots are Bates Code 6 btw. I took photos in the last episodes and you can see honeycomb design. That is the code 6 boot. Just sharing! They are actually Bates Code 6.2 Boots. I updated the post. Thanks ! 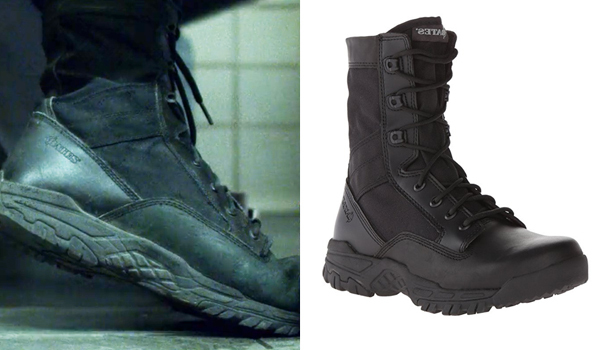 In the early episodes of The Punisher Season 1, he still wears the same Zero Mass boots from Daredevil. After he is recovering in Madani’s parents house, the boots she gives him are clearly the new Bates Code 6.2 (updated version of Code 6) 8 inch side zip boots. VERY WELL DONE. Was wondering if you know what shirt be is wearing in the beginning of season 1 episode 5, it’s an olive drab button work shirt I guess but hard to find without logos as seen. Thank you. Got me the knife, sweater, and gonna get the boots and jacket still. 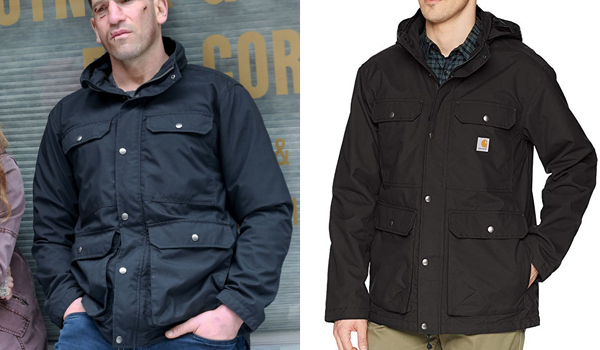 Hey Alex, it’s the Carhartt Utility Jacket. I updated the post, thanks ! I need to know what brand and model Billy russo shoes are in Season 2 Episode 4, I’ve added link with screenshot of boot. Hey, its the Baja Joe Eco-Friendly Hoodie, doesn’t seem like the same color is available though. Can you tell me what leather jacket Bill’s wears durring season 2 ? What black henley does he have? Thanks! Hi, that would be hard to tell… Do you have a picture ? Curious if you know the sweatshirt he’s wearing throughout season 2. It appears to have a Heather texture and ribbed edges. Thanks. How do I purchase the shearing jacket worn by Russo? What about Frank’s black knit hat?? Is it just a knit hat or also a face mask? What brand? Out of curiosity, are there screenshots to support the boots being the Code 6.2s in season 1 (or 2, since I don’t have any from season 2)? In the screenshots I have from season 1, the boots he wears in the second half of the season are clearly the Code 6s, including when Madani gives him back his boots at her parent’s house. You can see the honeycomb pattern all the way around, and see the blue section on the sole. Hi, he wears both ! Wanna know about that horizontal knife sheath as well, that’s got me and a few other guys intrigued. Looks like it may be a good place realistically if it’s fast draw and out of the way enough. First time I’ve seen anything like that. Please Let me know! Would be great!